There comes a time where you have to stop talking, hoping, wishing and start doing. Even if you are dead wrong and find out that you are really all talk, at least you have taken a real step toward knowing who you really are. I live in my own world where I now do what is my passion. After a long five years of searching for that “passion” I have found that there are many talents that I possess but how do I spend my life doing them and paying rent. At the moment of this writing there are only a few things that are really important to me in life. I expect the following results from my life. 1. Leaving a legacy on this earth and having people remember how I positively impacted their life. 2. Be a good person, husband, father, and friend. 3. Live out my days creating the financial freedom I desire and enjoying experiences I never could have had if I didn’t develop additional skills that help me achieve the goals I desire to pursue. 4. I want to know if I am truly able to create my own destiny or is that just a bunch of BS that sells books and seminars to stupid people (like me). In 2012, I decided to leave my high school teaching position and “find” what was near and dear to my heart. With a lot of searching I am finally able to put into words what I will spend the majority of my time doing. My name is Pierce Brunson and my passion is to make the high school experience more valuable, rewarding, and memorable for students and teachers through quality product and services. As I grow I hope that I build the personal confidence and attract the people that can help me to extend my goals past my community, state and country. Firefly Event Photography is the best event photography company you will ever work with! Pierce Brunson is an author and high school motivational speaker that founded Firefly Event Photography and Entertainment, LLC to capture and secure memories for students without expensive costs to the students. 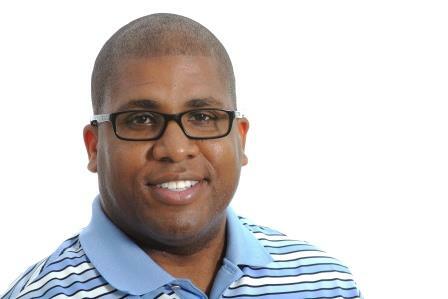 He has 15+ years of experience in education, coaching high schools students, and fundraising. He helps students be more productive, encourage and strengthen school spirit, and boost the enthusiasm of graduates as they follow the path of their choosing. Contact Pierce Brunson at (727) 599-6153 or pierce@fireflyepe.com to set up a meeting for more info to help your students enjoy their high school events. At Firefly Event Photography & Entertainment, LLC we specialize in a creative and unique photography system that helps high school event sponsors add value and increase ticket sales to dances, special events, and graduations. We believe that high school event photography should be creative, cost effective for all students, and accessible for decades. Our highly skilled and energetic team of photographers is dedicated to capturing the moments your students will enjoy and want to share. As the event sponsor, you will be happy knowing that you added a cost-effective value to improve your event. Your students will be excited knowing that their pictures will be ready to view, share, and download as soon as the next morning after the event. We help every student feel like the homecoming king, prom queen, or valedictorian by capturing hundreds of images at multiple photo spots and providing unlimited access to those images by 8am the next morning. Visit Firefly Event Photography on Facebook, Instagram, Twitter (fireflyepe), Google+ and Youtube.